Goldburg Gravel does Wylie's project. This company produces registered seed and cleans seed and have a large facility. 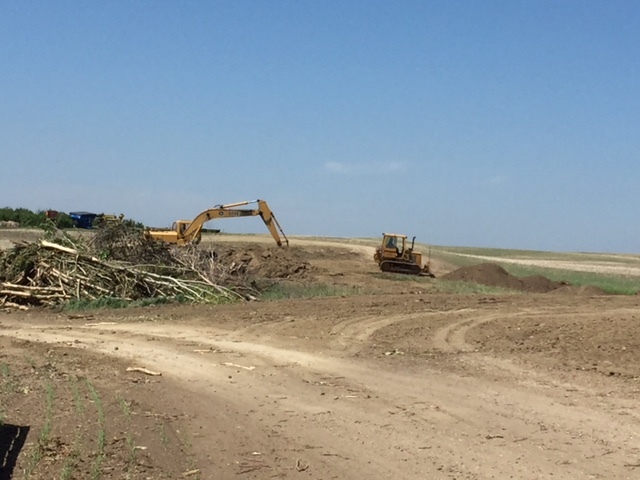 They had run out of bin space in the yard where the plant is located and wanted a large bin pad area to the east. 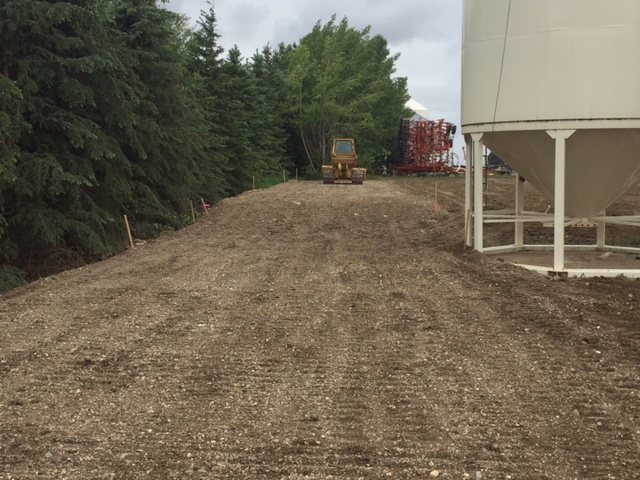 We collaborated with GI Dirtworks to create exactly what they needed with the expertise of the operator of the earth works equipment and our pit run product and packing gravel. 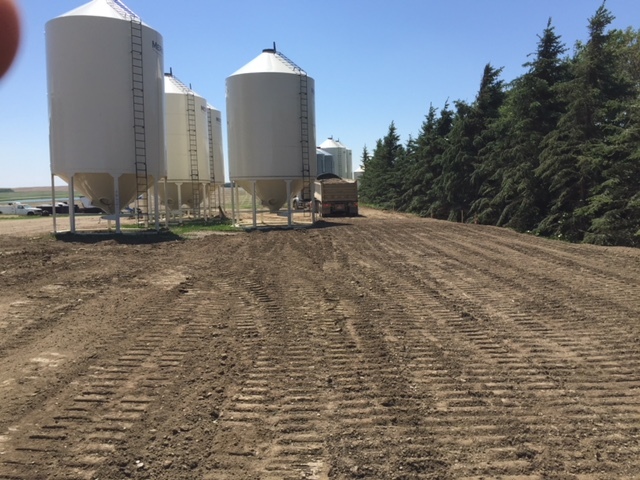 Goldburggravel Expanded Farm yard and Bin Area for Wylie Seed Farm. We are reliable and responsive to the time demands of the customer and aim to provide a quality product that meets your needs! Thank you for looking at our business today ! © 2017 GoldBurg Gravel Ltd. All rights reserved.